Several distress signals were fired from Titanic during her sinking. These socket signals were small mortars, launched by a gunpowder charge equivalent to that used in a 12-pound cannon. They made very big bangs. Around the time that the signals were fired, observers on Californian saw “white rockets” to the south, but didn’t report hearing any explosions. One possible reason for this is that Californian could have been a long way from Titanic (say 20 miles or more). Some people have used the lack of sound as supporting evidence for this scenario. After all, it was a clear, still night and intuitively you might expect sound to travel a very long way in such conditions. The point of this article is to explain why this isn’t the case, and show that the unusual conditions were actually rather poor for transmitting sound. 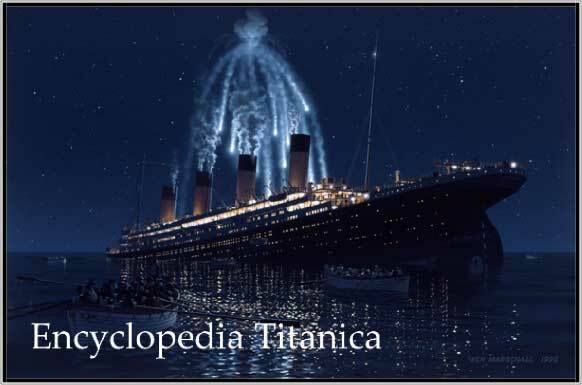 the power at B. It’s tempting to think that this explains it – after all observers on Titanic would have been a few hundred metres away from the explosions whereas those on Californian could have been a hundred times that far, a drop in power of 10,000 or so! But the human ear is an incredibly sensitive instrument: roughly speaking, it can hear sounds a thousand billion times lower in power than the loudest sound it can handle. To cope with this vast range, sounds are measured on the decibel (dB) scale. This scale is logarithmic – this means that for every decrease in sound power by a factor of 10, the sound volume drops by 10 dB. In the above example, a factor of 10,000 drop in power gives a drop in volume of only 40 dB. So why couldn’t Californian hear Titanic? To answer the question, let’s look at the sound of a cannon being fired. The black line in Figure 1 shows the audio spectrum (a graph of how loud the sound is at different frequencies) of a cannon at a distance of 1 metre. Notice that the maximum volume (at around 500 Hz) is 125 dB. I had to set this value because the cannon I recorded was only a 2-pounder and was about 5 metres away when it was fired. I chose 125 dB because sounds any louder than this are physically painful, so it seems like a reasonable upper limit for someone firing a mortar from a confined location. The values at all the other frequencies have had the same relative adjustment. Let’s assume we have an observer 5 km away from explosion. Due to the inverse-square rule, the power at all frequencies will decrease by 1/50002, giving a drop in volume of 74 dB. These volume levels are shown by the red line. Figure 1. Audio spectra at 1 m and 5 km. Next, we need to take account of sound absorption by the atmosphere. As sound travels through air, some of its energy is absorbed. This happens more at higher frequencies, which explains why sounds that have travelled some distance become dull. Its effect is small over short distances, but can be much more pronounced than the inverse-square rule at greater distances. A good estimate for the effect is that the sound decreases by roughly (f 2 / 2) dB per km , where f is the frequency of the sound in kHz. 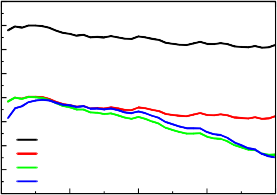 The green line in Figure 1 shows the volume levels after absorption has been accounted for. Notice the much bigger drop at higher frequencies. Figure 2. Direct and reflected sound paths. coincide, they reinforce each other, giving constructive interference. Interference is important because, when the sound wave bounces off the sea, it gets a kick that changes its peaks into troughs and vice versa (in physics this is known as a boundary condition, and it happens because the air molecules can’t move through the surface of the sea). 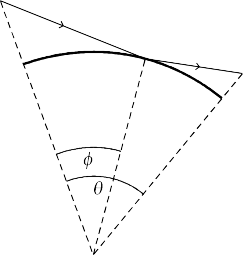 Although the paths in Figure 2 look quite different in length, when drawn to scale their lengths are almost the same. So when they meet at the ear of the observer, the kick caused by the reflection means they tend to interfere destructively and cancel each other out. This effect is known as “Lloyd’s Mirror” (a more detailed description is in the Appendix). It happens more strongly with increasing distance and lower frequencies (actually high frequencies can interfere constructively and be enhanced). The blue curve in Figure 1 includes the Lloyd’s Mirror effect and represents a good guess as to how loud the signals would have been at 5 km. Figure 3 shows the same calculations repeated for distances of 10, 15 and 20km. In each case, the blue line shows the final volume levels after the inverse-square rule, absorption and Lloyd’s Mirror effects are subtracted. At 15 km, the volume is below 20 dB at all frequencies. This is the sound of a soft whisper. When you consider that the sound would have taken 45 seconds to travel this far, you can see how unlikely it is that it would be noticed. A distress signal is seen, attracting the attention of an observer who listens but hears nothing. About 45 seconds later, a sound as faint as a whisper and dulled by atmospheric absorption arrives. Even if this sound could be made out above the ambient sounds of a ship at rest in a loose ice field, do you think anyone would notice, or connect it with the distress signal seen almost a minute before? I suspect that even at 10 km, where the sound would take 30 seconds to arrive and have a volume of 33 dB (7 dB quieter than a library reading room), it still wouldn’t be noticed. Figure 3. Audio spectra at 10, 15 and 20 km. In conclusion, I believe that the sound of the distress signals would certainly not have been noticeable at a distance of 15 km (9.3 statute miles, 8.1 nautical miles) and probably not at 10 km (6.2 statute miles, 5.4 nautical miles). There are other physical effects which are harder to include (acoustic refraction which would make the sounds louder, and acoustic shadow zones which would make them quieter), but I believe that this simple model explains the important points. Atmospheric absorption prevented the higher frequencies of the sound from travelling very far. The lesser-known effect of Lloyd’s Mirror, caused by reflection of the sound waves from an unusually calm sea, deadened the remaining sound quite effectively. The difference between the two paths is ∆ = lr – ld, and the phase difference (including the π change of phase on reflection) is (1-2∆f/c)π, where f and c are the frequency and speed of the sound. Once the phase difference is known the magnitude of the interference effect and the change in volume can be calculated. D. Gittins, http://www.encyclopedia- titanica.org/discus/messages/5666/62583.html (2003). The Physics of Everyday Phenomena, (San Francisco: W. H. Freeman & Co. 1979).